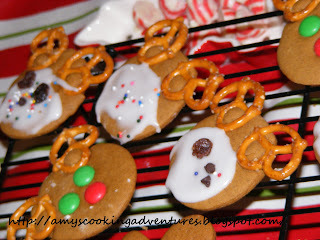 When I made my gingerbread men, I used half of my dough to make Reindeer Cookies. 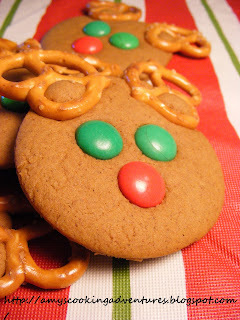 This is a fun little cookie that kids enjoy (who doesn’t like a cute little reindeer?) 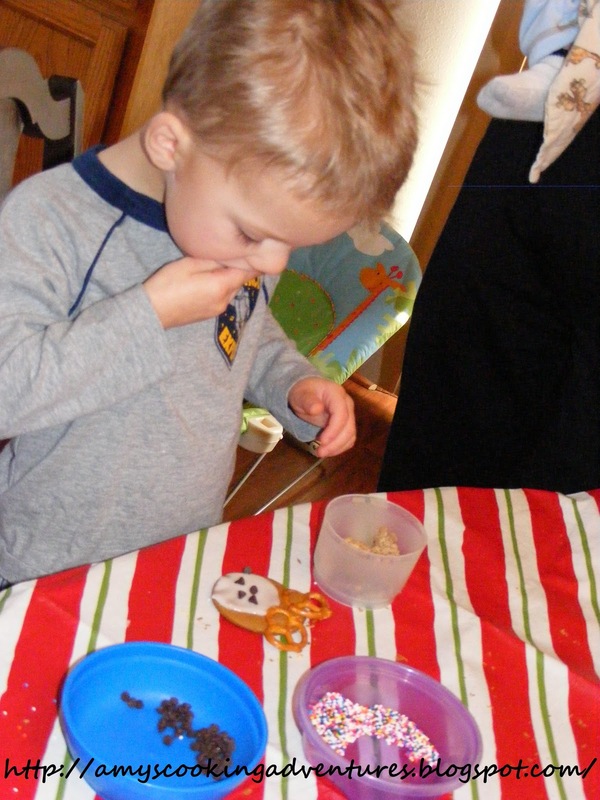 plus you can reserve some of them and let the little guys help decorate the faces. Roll and cut out your cookies in 2-inch rounds. 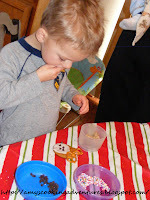 On the cookie sheet, press 2 pretzels into the dough to make antlers. 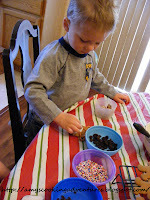 Push 3 candies into the cookie to make eyes and a nose (or omit this step and frost the face later). Bake as directed on your recipe. Cool completely. If you did not press candies in to make a face, frost each cookie with Powdered Sugar Icing and let your children decorate using mini chocolate chips, raisins, and sprinkles.